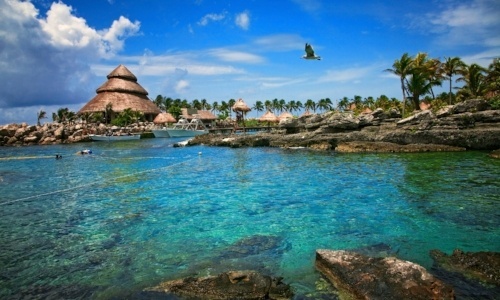 Tulum is located in an ancient Mayan City, in Quintana Roo, southeast of Mexico. Many consider it as one of the most beautiful places in the Mexican Caribbean. Celebrities such as Paris Hilton and Naomi Watts visited their beaches during 2017 and today we bring you some reasons why you should come and relax in this place and take the opportunity to swim with dolphins in Xel-Ha. The magnificent Mayan ruins, which are located on a cliff facing the Caribbean Sea, have created much fascination around this walled city. Under the cliff is Playa Paraiso, one of the best in the entire Riviera Maya. 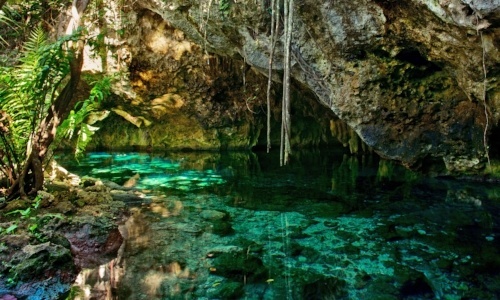 On the other hand, its dazzling cenotes attract nature lovers who seek to swim in them. 4 km from Tulum is the Gran Cenote, one of the most representative from this place. Great weather and cheap hotels is the best combination. Make the most of the great resorts for less than what travelers usually pay for the rest of the year. To find the best prices on airlines, you must book in advance. 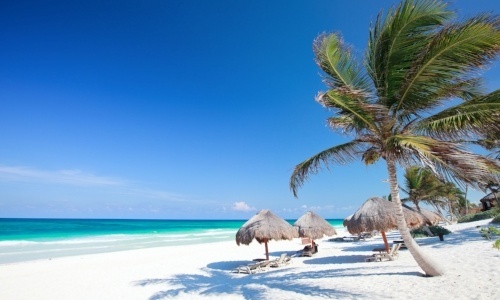 Although new-year parties in Tulum, Cancun and Riviera Maya are incredible, they are also busy. It is the busiest season, starting from December 15, until the first week of January. During this time, occupancy rates skyrocket and the beaches fill up. In this season, the risk of rainy days descends and it is sunny again. Also, there is not as much humidity or as much heat as in summer. Actually, you can do this activity any time of the year, but if you do it in the remainder of the off season, you will find a more personalized experience in this beautiful park that is 20 minutes from Tulum. Many travelers make tours to these two places because they travel through the Archaeological Zone of Tulum and the Cenote Dos Ojos, surrounded by an unforgettable landscape. So, now you know. Relax like the stars on the beaches of Tulum, go swimming with dolphins in this paradise of the Riviera Maya and get ready to bid farewell to the year by adding two more adventures to your list. 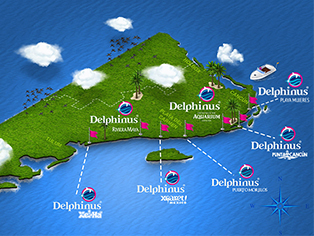 At Delphinus we are pleased to be part of your visit to the Mexican Caribbean, book with us and find seasonal discounts.